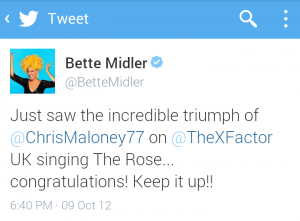 Christopher Michael Maloney is a former call centre operative from Liverpool, Merseyside. Chris shot to fame on the hit TV show The X Factor UK with his audition of “The Rose”, he struggled with his nerves, but managed to overcome them when he advanced into the live shows as series 9 wild card winner and PEOPLE’S CHOICE beating Times Red, Amy Mottram and Adam Burridge to win the final spot in the live TV shows. 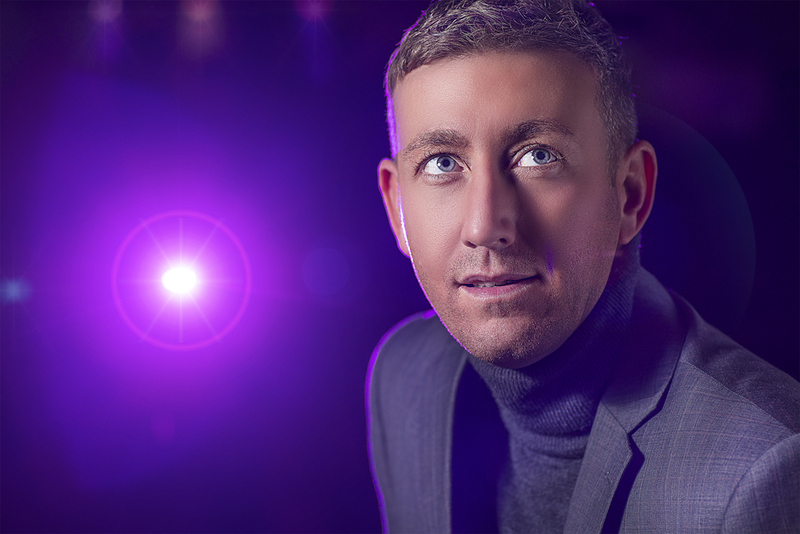 Throughout 2013 Chris has delighted many audiences even Supporting his friend Jane McDonald on her UK tour. Chris has also been performing live at many festivals, theatre shows, prides and many Charity Events. Chris is also a proud Patron of the ‘James Bulger’ memorial trust Charity. His 1’st X Factor audition of “The Rose” has had over 50 MILLION YouTube hits and counting. 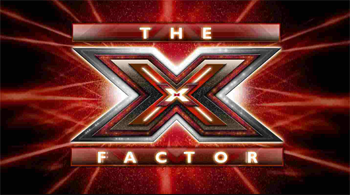 In January 2013 Chris went right into rehearsals for the X Factor UK arena tour.Performing every arena across the UK alongside his friends and co-stars Rylan Clark, Union J, James Arthur & Jahmene Douglas. Chris signed his first record deal with independent label Tristar Records in April 2013 and he filmed his first music video in the August and on 27 October 2013, he released his 1st debut single “My Heart Belongs To You” which became No1 in all the top download UK and USA Singles Charts which embarked Chris on a mammoth 3 week regional & national UK radio tour. In December 2013 Chris landed his leading role as “Prince Valiant” in “Sleeping Beauty” at The King’s Theatre Southsea starring alongside Danniella Westbrook (Eastenders/hollyoaks) and Lynne Mcgrainger (Home & Away) perfoming 48 shows in 3 weeks to 38,000 people.